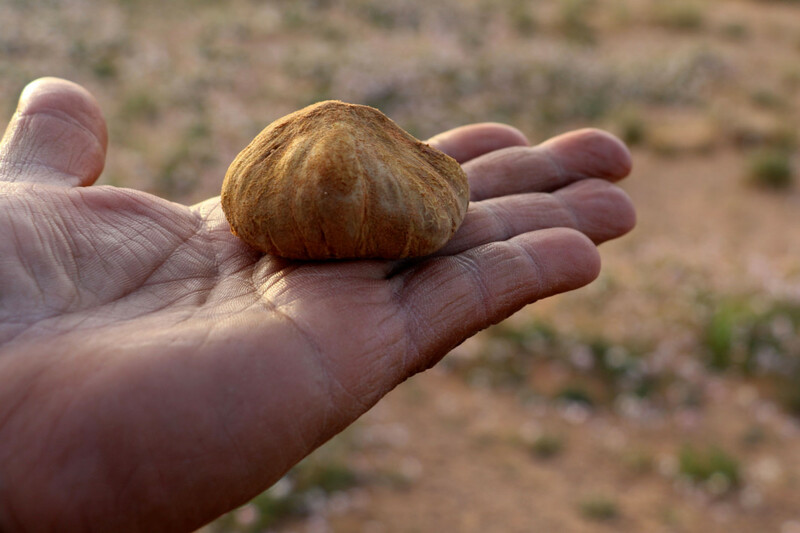 Al Hamada Al Hamra, Libya: Braving the cold and hostile Libyan desert, Milad Mohammad scratches the ground to extract what he calls “manna from heaven” — white truffles coveted as a delicacy at home and abroad. The fungus known locally as ‘Terfas’ is the only thing, besides some wild grass, that grows under the desert sands nurtured by the combined effect of rain and cold temperatures at night. 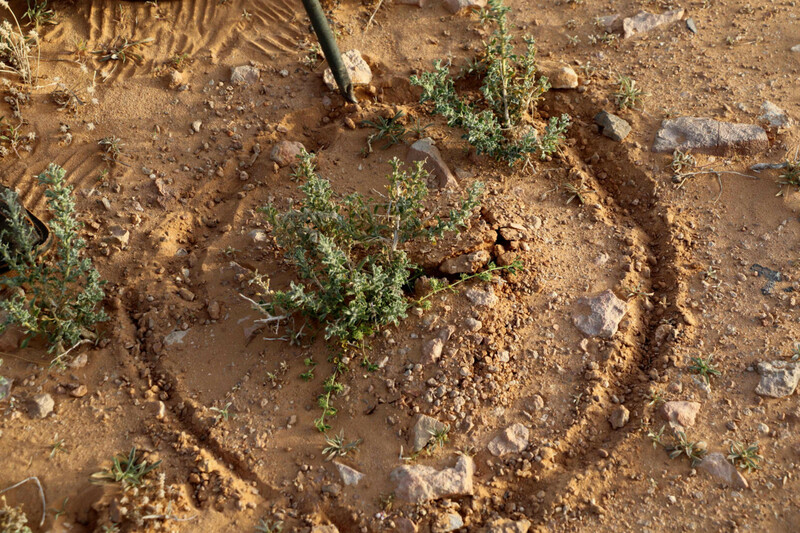 Mohammad harvests the white truffle as a hobby and each year before springtime he treks through the desert region of Al-Hamada al-Hamra, southwest of Tripoli, to look for them. “I don’t earn my living from this. It’s a passion,” says Mohammad, in his 60s, a retired civil servant from the western city of Zintan. “It’s like a therapy, a way to purify myself from the chaos of the city,” he adds as he takes a drag from a cigarette outside a tent he pitched in the desert after a day’s work. “It’s a beautiful place, and rough, and you feel so isolated here,” says Mohammad. 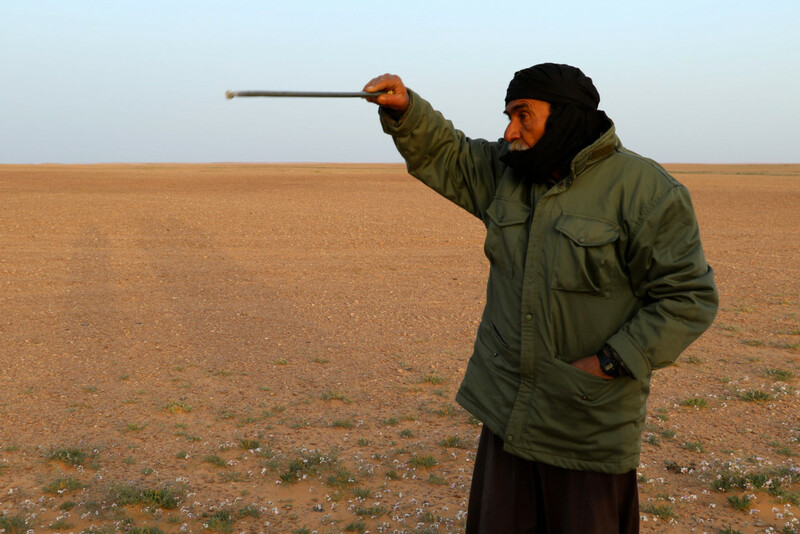 For hours he wanders across the desert by foot or in his pickup truck, covering dozens of kilometres and stopping at several spots to scratch the sand with his hands or a cane in search of white truffles. “There is nothing more satisfying than to use your bare hands to dig into the sand and extract these delicious truffles,” says Mohammad. But searching for this white gold in the oil-rich North African country that descended into chaos after the fall of veteran dictator Muammar Gaddafi in the 2011 Nato-backed uprising is no easy task. Libya has been gripped by unrest since the revolt, with various groups vying for control of its oil wealth and cities, while the desert has become a hornet’s nest for extremists and criminal gangs. Unlike hunters of black truffles, who use dogs or hogs to search for the prized mushroom, Mohammad only trusts his eyes to spot the place where they grow. According to him, white truffles — scientifically known to provide a rich source of protein — have health benefits and their juice is used to treat eye diseases. Over the past few years the price per kilo of white truffles tripled to 130 dinars ($33), a merchant said, as harvesting the fungus became more difficult due to Libya’s unrest and unfavourable weather conditions. Wholesale transactions often take place at a tent erected on a road near Zintan that leads to Al Hamada Al Hamra. It is there that pickers like Mohammad and Khalid Abdul Wahid go to sell the truffles they found in the desert. “We endured very cold weather but the merchant is offering us a fraction of the price,” says Abdul Wahid, as he tried to negotiate a good deal for the eight kilos of truffles he collected after four nights spent in the desert. “The merchant’s making a better profit than us, and all that time he keeps warm in his tent” while truffle pickers do all the hard work, he says. The buyer Khalifa Al Sahraoui, a merchant from neighbouring Algeria who travels to Libya each year for truffle season between November and March, disagrees. “We buy the truffles and sell them to other merchants,” he says. Abdullah Miloud, another truffle merchant, says the harvest is sold to middlemen who in turn “sell them to clients abroad”. The Libyan white truffle is “of excellent quality” and “prized in Gulf countries”, he adds. But according to Miloud, revenues from sales have “rescued several families” from financial hardship.